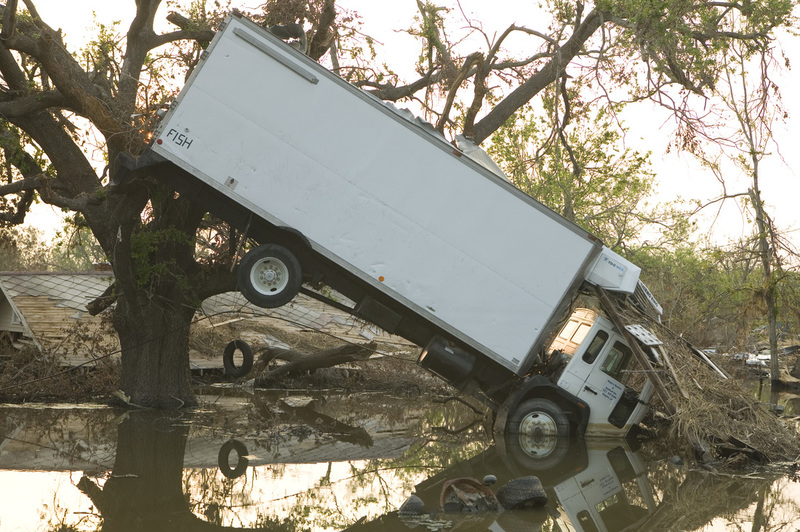 After Katrina hit, the flooding followed with the breaching of the levies. Much of this water that flooded the city stayed for weeks, rendering many of the roads and cars useless. About 80% of the city was flooded to some degree, and many nearby areas flooded as well. Once the levies were fixed and water was pumped out, some of the people returned to find their previous home completely destroyed. Houses were obliterated and left in small pieces scattered around all over the place. 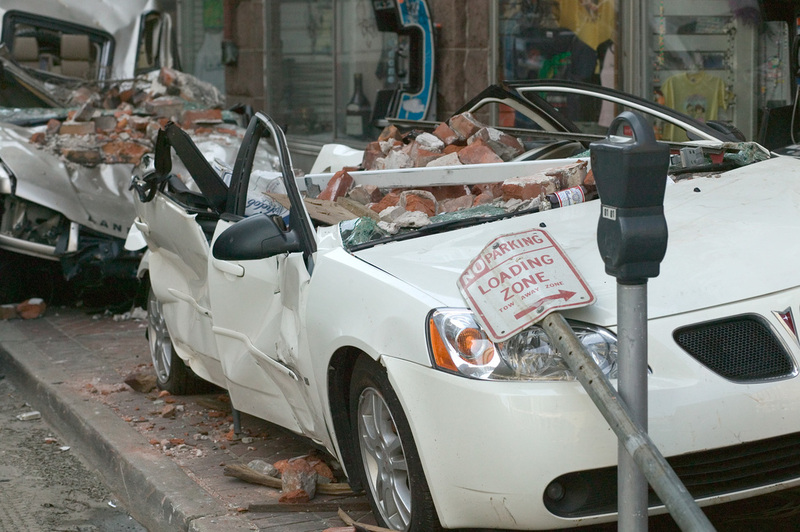 New Orleans looked like a war zone. The storm left around $125 billion in damages, and many insurance companies refused to cover the damages leaving the people with nothing but a huge pile of their old life. To say the damage sustained to the Lower 9th Ward was devastating would be an understatement. Every car, every house, and every tree were ripped up and destroyed. Even some of the roads were damaged. 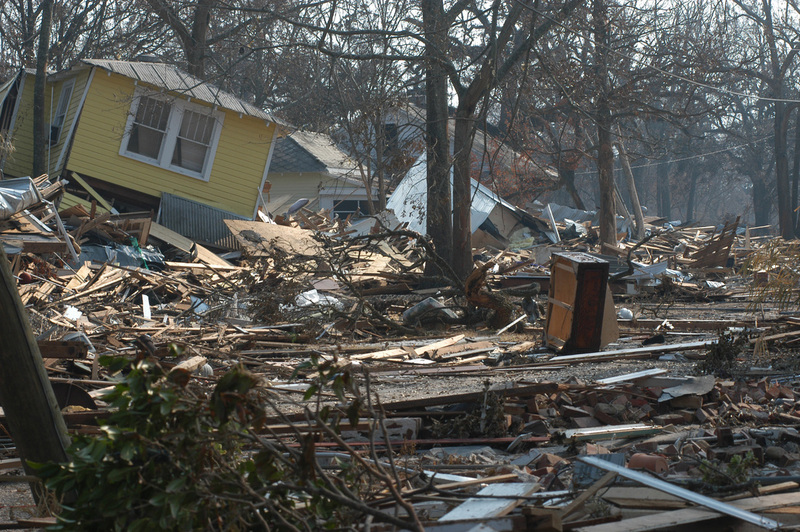 10 years later, the city is still recovering, and some neighborhoods are just gone. Many of the tourist areas were rebuilt first. The design of the trailer was very simple. They all had a kitchen/dining area, a full bathroom, and a bedroom. Some of them were built with a little more space, including a second bedroom or a sofa area. The trailers were very small, but offered a temporary place for people to live who had nowhere else to go. The materials used were very cheap, but served their purpose. The kitchen, dining, and sofa area were what you were greeted with upon opening the front door, with the bedroom and bathroom behind another door to the front and back of the trailer. 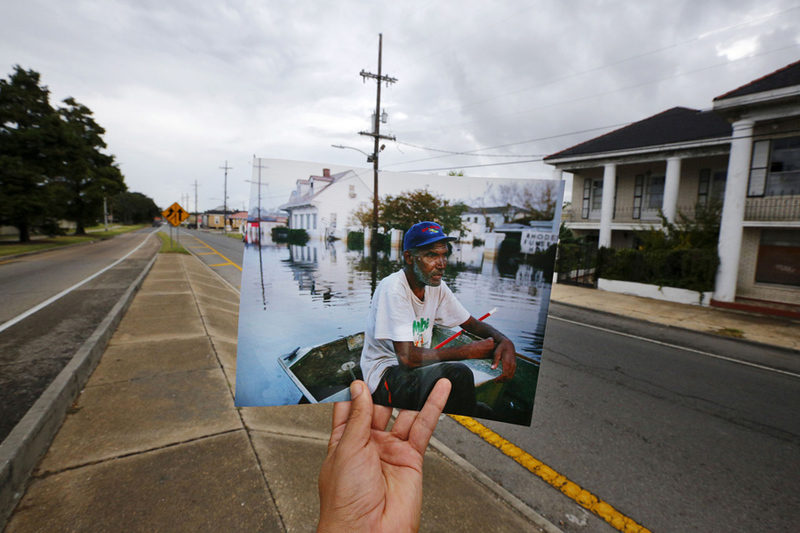 It’s been 10 years since Katrina’s powerful winds and waves tore apart New Orleans. Visit New Orleans, and you find yourself surrounded by a city and community that has overcome many trials due to the horrible events in 2005. 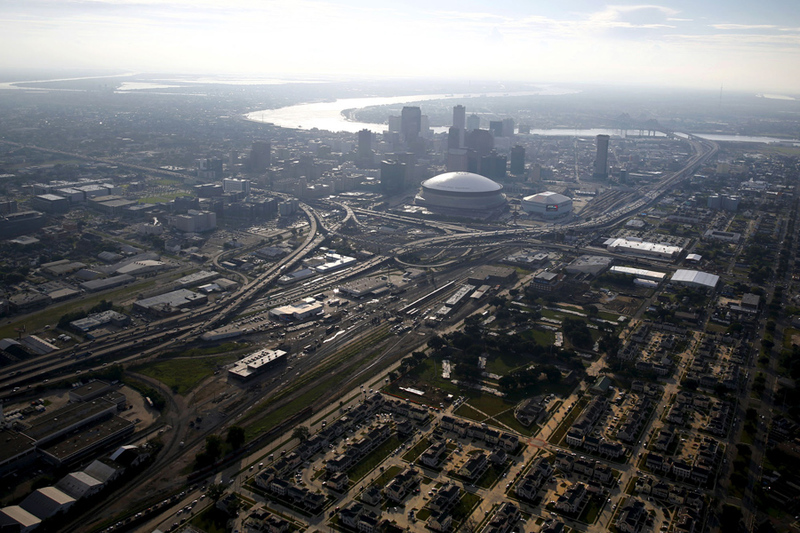 Yet no matter how many successful attempts to recover from Katrina, the city and its residents are still over casted by the shadow of the past. An uncomfortable reminder of the friends and families lost, the homes destroyed, and emotional trauma the some still struggle with. Never the less, the city has made a great recovery, and is still in the process of mending its wounds. The state of Louisiana has dished out 10 billion dollars, from 2005 to 2015, for Katrina related issues. Much has gotten done, with the rebuilding of many public buildings that are crucial to a city reflecting that. Great, but 2.5 billion dollars remains, and FEMA has no set “timetable” to complete any projects. There is still much to do, and it seems like there is a new problem un-covered every day. Most problems that need attention have something to do with underground infrastructure. Sewer systems, water ways, gas systems, etc. In addition to infrastructure, many homes are still damaged considering families abandoned their homes and never came back due to financial issues. With a select few who actually had the money for repairs. As of now FEMA, and other organizations are doing all they can, but there is no telling how or when it will get done considering underlying problems. New Orleans has done a great job in healing, but still 10 years later there is still some more recovering to be done. “On Friday night (Aug. 26), some of us boarded up our houses. Others in town were saying that they didn't want to "overreact" to the hurricane forecasts. But I was running around like crazy, yelling, "This is a (category) four!" Saturday, I evacuated to my friend's house with my 81-year-old mother, my 28-year-old niece and my sister-in-law. We packed clothes, food and water – plus axes, an extension ladder and flares. That way we could cut our way out through the roof if necessary. As a reporter, I'd covered too many hurricanes where people drowned in their attics because they couldn't escape the rising water. On Sunday, the news showed the eye of the hurricane heading toward our exact location. That night, before the TV went out, a report said, "It's looking better for New Orleans, and the very worst for the Gulfport area." After hearing that, I said to everyone, "I want you to forgive me now, because I think I made a mistake. I'm afraid we're all going to have to fight very hard not to die." But everyone was calm. They all went to bed, but I couldn't sleep. At 1 a.m., wind started pummeling the house. I woke everyone up and we listened to the radio. We learned that all three of the emergency operation centers were washed away. That's when I knew we were in big trouble. Then we lost the radio. All night I'd been watching a giant pine tree in a neighbor's yard. It had been bending mightily, but had stayed rooted. Suddenly I heard a deafening crack, and I yelled, "Run!" Seconds later the tree smashed through the house. We had escaped to the master bedroom closet in the center of the house. My sister-in-law hauled a mattress off the bed and leaned it on top of my mother and my niece. Then we noticed that the walls were heaving, so we raced around the house, opening windows to relieve the pressure build-up.